Two major US pension funds have refused to comment on their holdings in a Chinese firm whose surveillance equipment is reportedly used in Muslim detention camps. Both the New York State Teachers Retirement System and the California State Teachers’ Retirement System have stakes in Hikvision. Lawmakers have called on investors to dump their shares in the firm. Up to a million Muslims are said to be interned in the Xinjiang region. What’s happened to the vanished Uighurs? 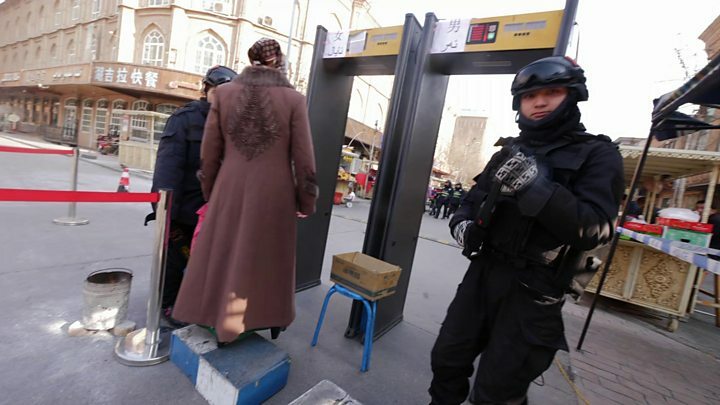 Uighur protestors pictured in 2009 wield the ID cards of detained relatives. The New York State Teachers Retirement System (NYSTRS) and the California State Teachers’ Retirement System (CalSTRS) are two of the US’ largest public pension funds. The NYSTRS lists Hangzhou Hikvision Digital A among its international Equity Holdings, holding 26,402 shares at a market value of 99,059.89 as of 31 December 2018. CALSTRS recorded its stake in Hikvision at 4,356,300 shares, with a market value of $24,414,000 as of 30 June, 2018. “We are committed to socially and environmentally responsible business practices and acquire goods and services in the best interest of CalSTR,” the fund’s website reads, though it has not commented specifically on Hikvision. Florida Senator Marco Rubio has lead efforts for Chinese companies operating in American markets to disclose their ties to the Chinese government’s security apparatus. Marco Rubio, a senior member of the Senate Committee on Foreign Relations, is among the most vocal lawmakers calling for reform. On his website, the Florida Republican shares a letter addressed to two of President Donald Trump’s cabinet members, urging the administration to impose sanctions on individuals and entities “profiting” from detentions in the Xinjiang region. He mentions Hikvision. The north-western area is home to the Uighurs, a Turkic-speaking Muslim minority. They make up about 45% of the population in Xinjiang, which has come under strict surveillance by Chinese authorities. “The Chinese government is creating a high-tech police state” in Xinjiang, reads Mr Rubio’s letter. 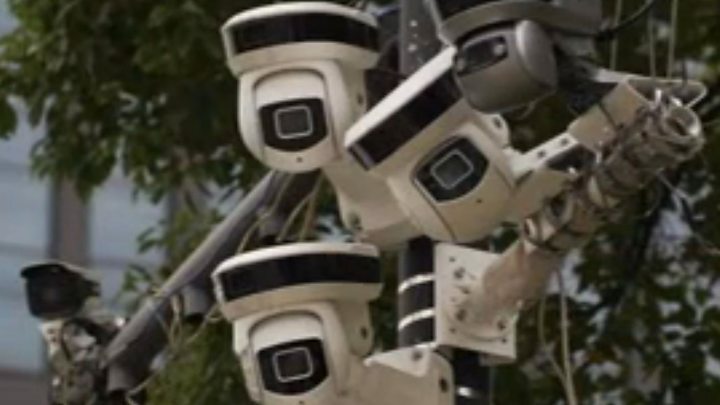 Hangzhou-based Hikvision – which is thought to be controlled by the Chinese government – is world’s largest supplier of video surveillance technology. The company has also sold more than a million CCTV systems to British customers that have been installed at sites in the UK, including airports and government establishments, the London Times reported in 2016. China has faced mounting pressure to close the internment camps where human rights groups say Uighurs, Kazakhs and other Muslim minorities are being held indefinitely without a charge for infractions such as refusing to give a DNA sample, speaking in a minority language or arguing with officials. Human rights groups also say Hikvision supplies surveillance systems to the facilities, which China calls “training centres”. The BBC contacted Hikvision, but it declined to comment. China is accused of detaining huge numbers of Uighurs and other Muslims in Xinjiang. A statement on the company website last year said: “Hikvision takes cyber-security very seriously and abides by all applicable laws and regulations in the countries in which we operate. So far few Muslim-majority countries have joined in public condemnation of the allegations. China has dismissed charges of human rights violations.